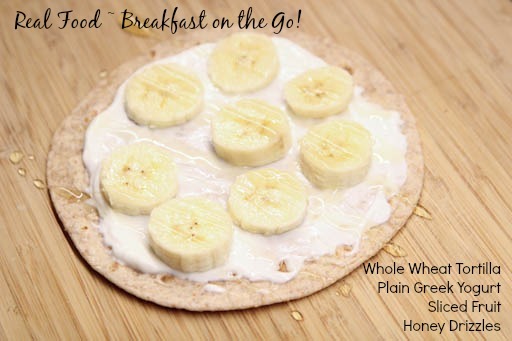 How do you handle those mornings when you are 18 minutes later than you’d hoped to be, but you’re craving a delicious and portable breakfast option that will leave you satisfied until lunch? With the ingredients positioned in the right place, you can have this one ready and be headed out the door in less than 2 minutes! Protein Rich Orange Berry Smoothie ~ blend and run y’all! Avocado Egg Breakfast Sandwich ~ just like the muffins, these are make ahead wonders! Assemble all of the sandwich, except the avocado/guacamole, and place in a sandwich baggie in the freezer. Defrost/reheat in the microwave. Add some mashed avocado as you dash out the door. Or leave it off altogether if you’re out of time! What are your favorite portable breakfast recipes or concepts?